Warriors head coach outlines plans to lift Fiji Rugby. Fiji Airways Fijian Warriors head coach Senirusi Seruvakula believes the 2018 World Rugby Pacific Challenge will help boost the confidence of the Fijian Under-23 players. This, he said, will lift their performance in the Skipper Cup competition as they have a chance of making the Fiji Airways Fijian Drua side to play in the Australia National Rugby Championship (NRC). Seruvakula said the concept here is for U23 players to provide a stiff challenge to the senior players as they also need to work hard to maintain their spot. “After this PRC, these players will give our senior players tough competition during the Skipper Cup competition and later in making the Drua side for NRC,” he told SUNsports yesterday. 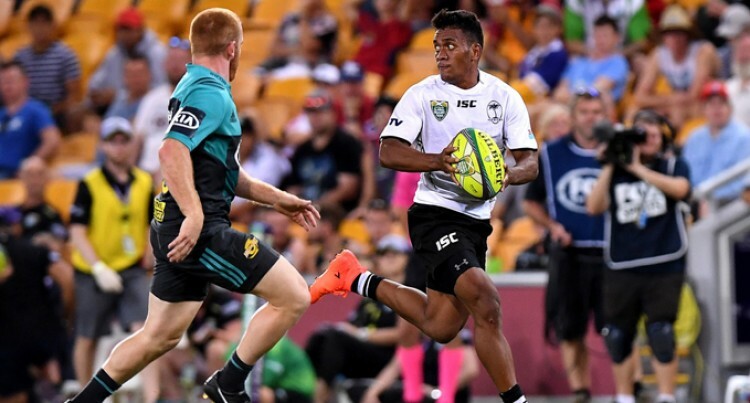 The Fijians have an upper hand over rivals Tonga A, Samoa A and Junior Japan after participating in the Australia NRC and the recent Brisbane Global Tens tournament. Last Thursday, the Warriors took Queensland Reds to the wire before they bowed out with a narrow 17-15 loss. Reds struggled in the humidity with their ball control but avoided blushes when Hamish Stewart slotted a sideline conversion after winger Izaia Perese scored in the 75th minute which sealed them the win. “These local players are benefitting a lot in those tournaments and also against the Reds where they got a lot of exposure. So when we go into the PRC just like what we did last year, it will lift the local competition. “Reds won in the last few minutes and that just indicate the type of game we can show. We can match them in the scrums, line-outs and breakdowns. That is the benefit of playing in a lot of overseas tournament instead of playing in the local competitions,” he said. The Fijian Warriors extended squad marched in for a two-day camp in Suva yesterday and the final 28-member squad is going to be announced today. The final 28-member squad will then march into camp next Tuesday, where there will undergo intensive preparation. The PRC will be on March 9-17 at the ANZ Stadium, Suva.